Every year, five million nickel-cadmium (NiCd) batteries are sent to landfill, dumping 90 tonnes of cadmium into the environment. Now, a new scheme aims to recycle these emergency and exit lighting batteries instead. Kate Jordan reports. Lighting Council Australia has launched a new battery recycling initiative to prevent cadmium, a highly toxic heavy metal, entering the environment. Cadmium is used in approximately 90% of emergency and exit lighting batteries and is almost as toxic as mercury – and yet 90,000kg of this heavy metal is dumped in Australian landfills every year. “It is very important that we begin to divert cadmium from landfill, collect it and recycle it. It’s quite similar to mercury in its toxicity and we feel there is insufficient attention given to cadmium,” says Lighting Council chief executive Bryan Douglas. Lighting Council has a similar scheme called FluroCycle that focuses on mercury-containing lamps. This nationwide voluntary scheme encourages commercial and public organisations to become signatories, committing themselves to recycling mercury-containing lamps and in return improving their environmental reputation. On the back of the successful FluroCycle campaign, Lighting Council is working with the Queensland Department of Environmental and Heritage Protection on a voluntary pilot program to recycle exit and emergency lighting batteries. While the main reason for basing the pilot in Queensland is the support of the local government, the Sunshine State also makes an ideal testing ground. “Queensland is very suitable for this pilot project. It will provide valuable lessons for us in getting these batteries from both a major metropolitan area and regional centres to recycling centres,” Bryan explains. Lighting Council’s role is to recruit signatories for the initiative, as it did (and continues to do) with the FluroCycle scheme. FluroCycle currently has more than 200 signatories, providing an excellent base of potential signatories for the new scheme to draw from. The success of the FluroCycle has certainly helped the launch of ExitCycle. “FluroCycle provided some valuable lessons for us in rolling out a program like this and is probably one of the reasons why the Queensland Government chose to work with Lighting Council. We have built up a lot of experience with FluroCycle, and ExitCycle closely mirrors FluroCycle in its approach,” Bryan says. As yet, the scheme does not have any publicised goals. “As this is a pilot program, we have not established recycling targets; however, recyclers are required to provide Lighting Council with recycling data as part of their signatory commitments,” Bryan explains. Lighting Council is acting on its own initiative in setting up the scheme; there’s no push from government or environmental groups. “We like to think we’re acting responsibly as an industry and taking responsibility for the products our members are putting onto the market,” Bryan says. The Queensland Government is vocal in its support of ExitCycle. “We are proud to support Lighting Council and encourage the use of environmentally appropriate solutions to managing our wastes,” says Queensland Minister for Environment and Heritage Protection, Dr Steven Miles. 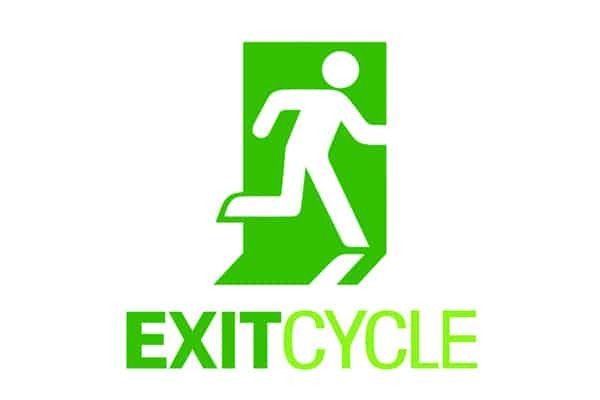 To learn more about the ExitCycle initiative, visit exitcycle.org.au.